Last month, we reported that the photo-centered startup Meitu was to release a self-portrait smartphone Meitu Kiss targeting at female users. Behind all the camera lens of Meitu there stands a man named Cai Wensheng who is its investor and became the president of this company recently. Meitu’s founder, Wu Xinhong, now serves as CEO. As an angel investor, Cai himself has never really participated in any project he invested in before. The move this time is seen by many as he is dedicated to build a smartphone and mobile Internet business, just like what Lei Jun, co-founder and CEO of Xiaomi, has been doing. His name is actually not new to most local Internet players. A high school dropout without any phenomenal background, Cai started up his first business from scratch by registering hundreds of thousands of domain names (total estimated value over a hundred million US$). He can’t speak good English, but still sold a navigation site 265.com to Google China. Invested in several hundreds sites, he was once called the king of webmasters. Gradually the young entrepreneur turned to an angel investor. Some familiar startups Cai had invested include Baofeng Player, Falshget Downloads, 58.com, ZCOM, TTG, and CNZZ, from which some were quite a hit. 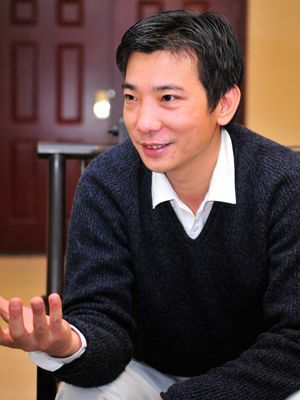 Cai Wensheng is a legendary figure in China’s tech scene. Founded in 2008 in Xiamen, Meitu has developed a plenty of photo apps, claiming a total of 200m users and 18m active ones. Meitu Xiuxiu is one of the most popular photo effects apps for the local market, CEO Wu Xinhong once revealed that currently it has reached break even with the advertising revenues. How a profitable mobile video service from 2G era adapts to smartphone market? This entry was posted in Mobile by Charlie Sheng. Bookmark the permalink.